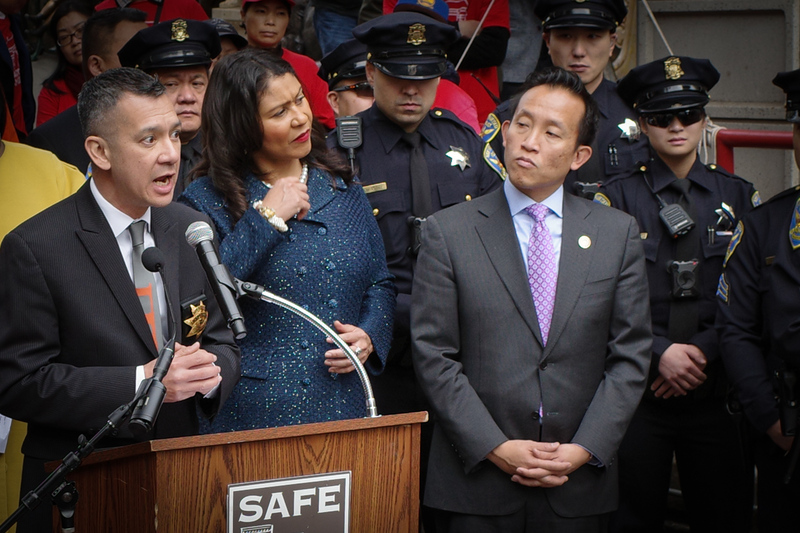 In this detail cropped from a wide-angle photo taken with the Ricoh GR III, San Francisco Mayor London Breed exchanges a glance with State Assemblyman David Chiu. 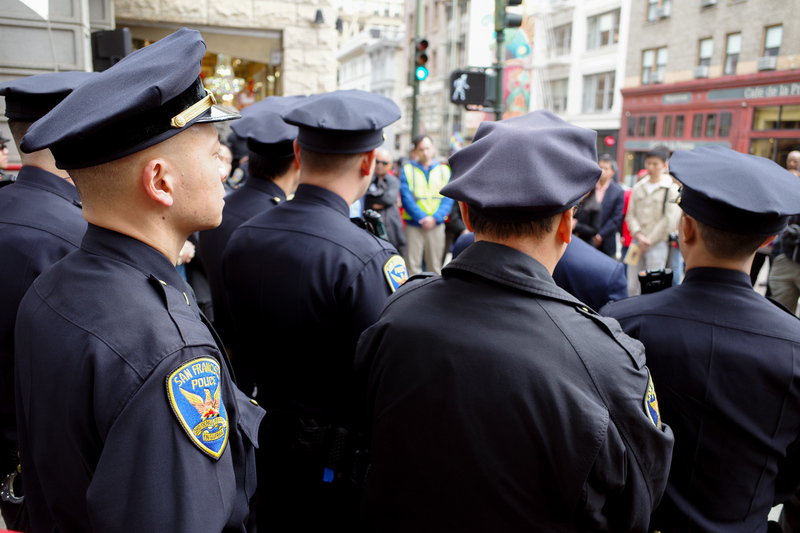 In this photo taken with the Ricoh GR III before its release, San Francisco police officers gathered at a press conference to promote safety during lunar new year celebrations. 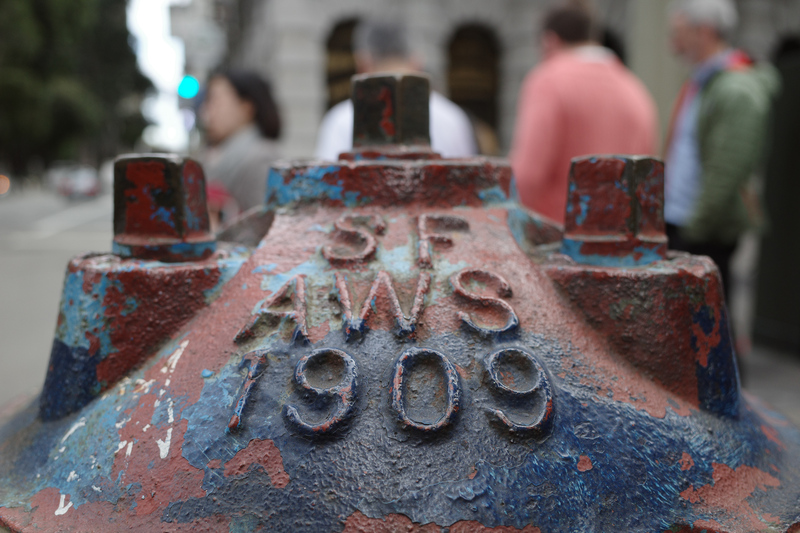 A San Francisco fire hydrant outside of Chinatown, photographed with the Ricoh GR III camera before its release. 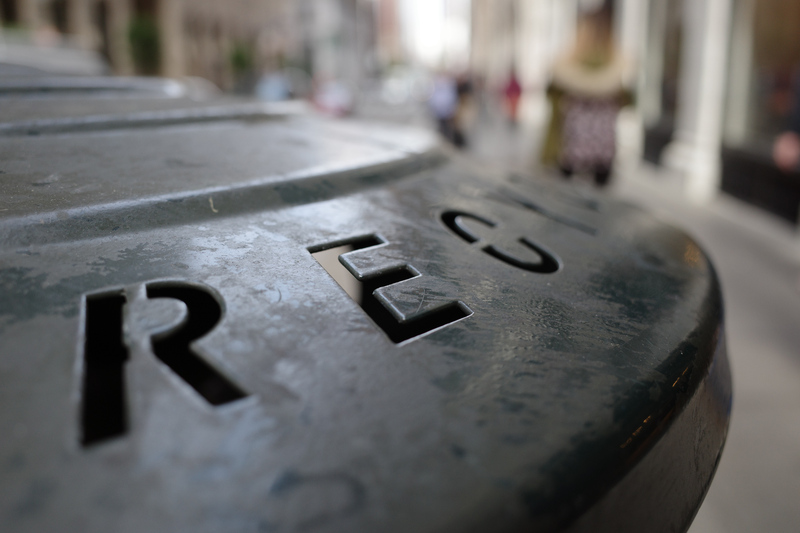 The Ricoh GR III, with its f/2.8 28mm-equivalent lens, can focus on objects as close as 2.36 inches away, making for some interesting perspectives. 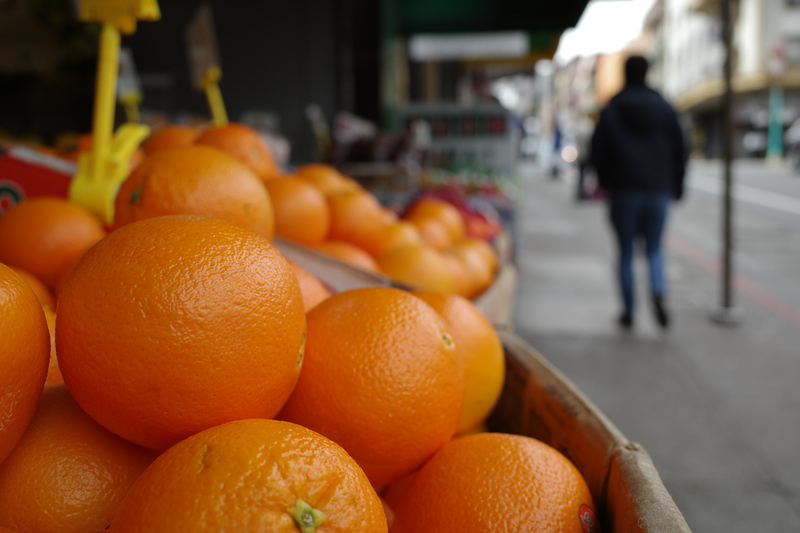 In photo-speak, the soft, out-of-focus portion is the image is called "bokeh" — though there's disagreement over how to pronounce it. The word is Japanese, and has no direct English translation.